Natatorium and Swimming Pool Facilities — Lee Gamelsky Architects P.C. Faced with a very tight budget, the design incorporates a pre-engineered metal building system. An interior EIFS wall system was used to protect the structure from rusting out, along with epoxy based paint over ferrous metal and a cementitious composite insulated roofing SIP panel system. Structure encloses a 6 lane x 25 yard competitive pool with 9’-6” deep end to facilitate red cross life safety training and scuba diving certification. Large glass overhead doors create indoor – outdoor connections to patio spaces. A new 6 lane x 25 meter competitive pool with underwater lights and deck lighting. Renovation of an existing natatorium. 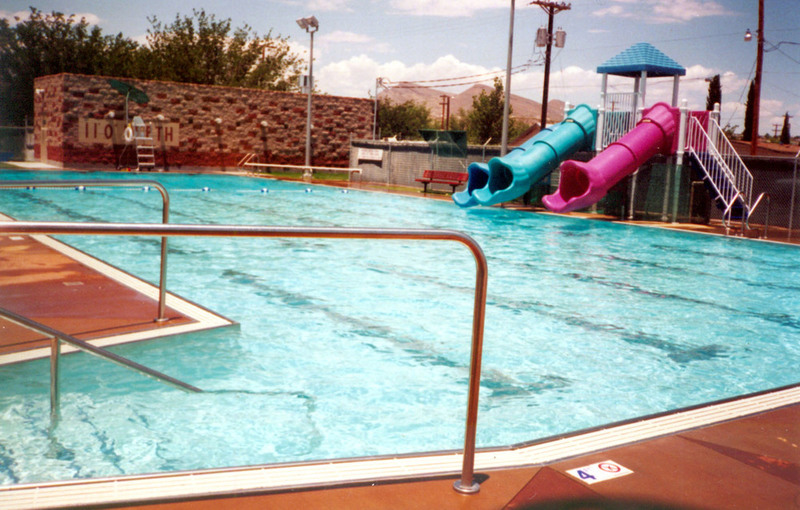 Included a new 110' long enclosed pool slide, new filtration equipment and new interior lighting. The existing pool and bath house were 50 years old and were out of service due to leaks, deferred maintenance and structural failures. The new pool shell was a shotcrete structure installed within the existing pool shell with all new piping, recessed anchors, grounding, underwater lighting and deck level gutter design. Included a 5 lane x 100' recreation pool, and a new pool mechanical and equipment building. Includes a 5 yard x 25 yard recreation pool with diving area and shallow swim area. The existing swimming pool developed leaks at the cold joints within its cast concrete shell. The design included a new shotcrete shell within the existing shell with all new piping, underwater lights, recessed anchors, grounding and a deck level gutter system. Design includes a 6 lane x 25 yard competition pool, shallow splash pool with a water play garden and a toddlers wading pool. New bath house, pool equipment building, sand volleyball, picnic / BBQ area and landscape improvements .